If you're into quirky little Japanese games that don't need too much thinking involved to play, then check out this next games website. 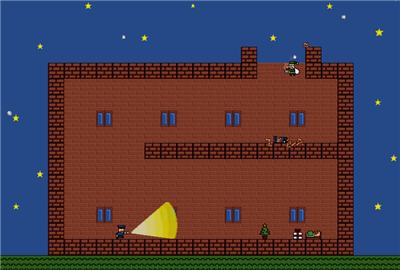 There are a total of 28 Multimedia Fusion freeware games for Windows PC for you to play. 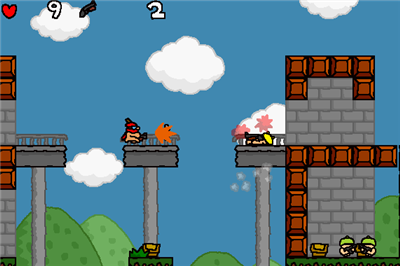 Some of them are quite fun and you may even get a chuckle from their characters and the unusual gameplay. Simple graphics, catchy music and amusing sound effects will make your coffee breaks a bit more enjoyable. I tested 11 random games and most are 2mb in size in zip format or less and there's no installation to your system which is what we all like and prefer. 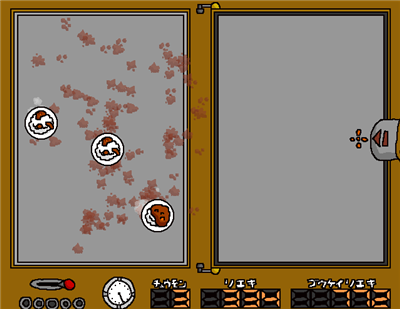 So here we go with the random 11 freeware games. 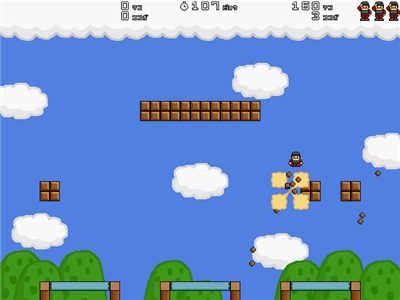 Blockman Bounce on trampolines and eliminate blocks. Fun game. 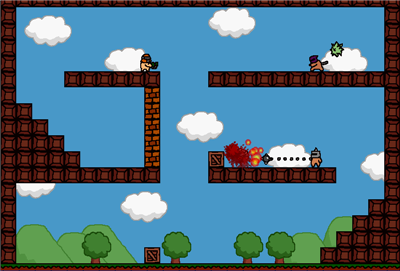 Buntan Platformer shooter. 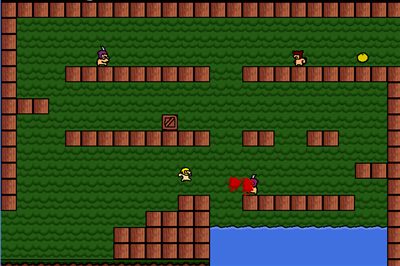 Run, jump and shoot your way through each level. Curryki Serve up curry on the right to the plates of rice on the left, mirror the images. The closer you get to the center of the plate, the more curry the rice gets and more the score. Very challenging for such a simple game. Jihyoattack Swing your mighty hammer to hit office furniture into your work mates and boss. 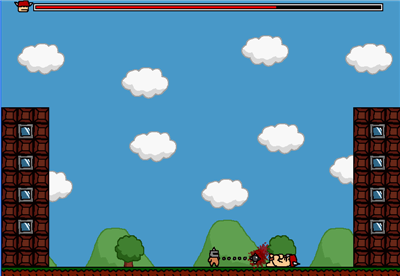 Nice platformer. 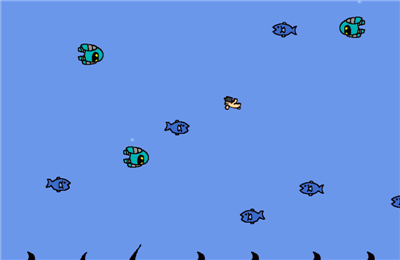 Katuobomb Swim, grab a small fish and direct it into the larger aqua robots. Just remember to let go before it hits. 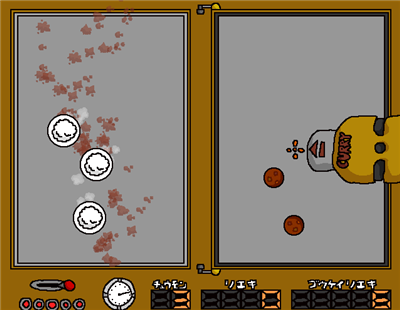 Mogigi 2 A very good side scrolling shooter. Nattosantaro A very difficult Santa stealth bomber. An ok game. 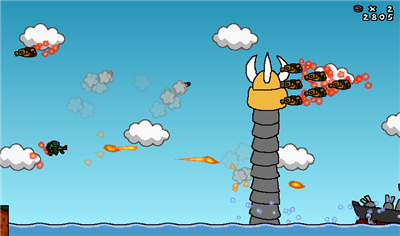 Tekkyuuman Throw your spiked ball on a chain into your enemies and walls to complete the levels. 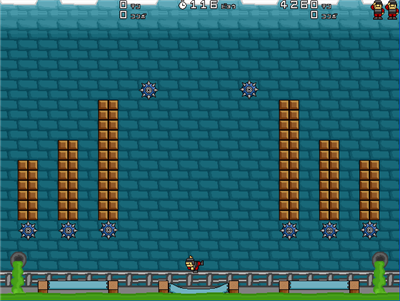 Platformer, run, jump, shoot. 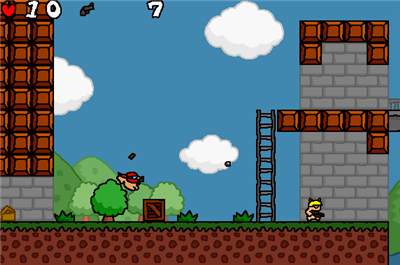 Teppoman 2 A very good platformer. 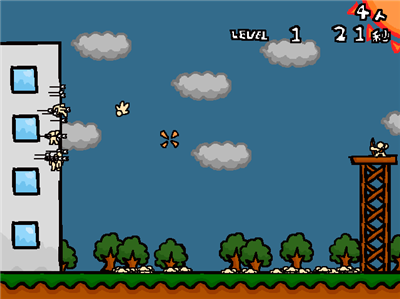 Run, jump, shoot and blast your way through. 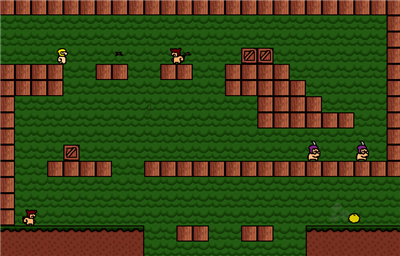 Contains various weapons and some bonus pickups. Press down to open chests and pickup items. 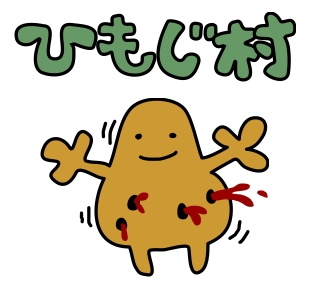 Tobioriya Pin the falling people to the building with your bow and arrows. An ok shooter. 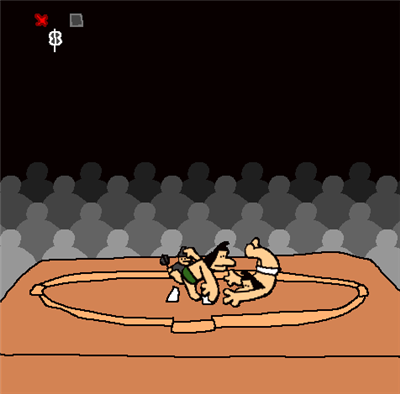 Yaozumou Sumo wrestling. I have yet to master this one to win a game. 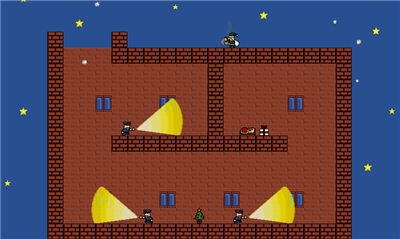 Shift key and Ctrl key - Action, jump, shoot etc. The games are at the top below the page title picture and below the 1st row of links. While you are there, at the bottom of the page you'll see number links from 1 - 17. These are the hand drawn artwork avatars. There are hundreds to choose from and I'm sure you'll find something that takes your fancy. 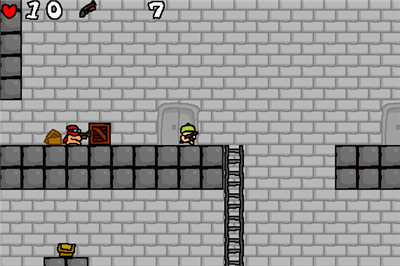 Some of these are characters that are in the 28 Multimedia Fusion freeware games.